Paver Pros our mother company has been installing pavers and other hardscapes for 20 years and are certified installers for EP Henry, Techno bloc, and other major manufacturers. 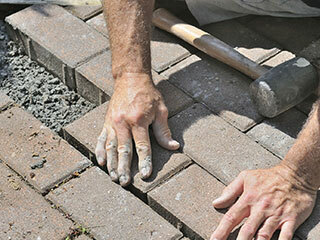 If you have a problem with your installation our company can repair the problem before we clean and seal your pavers. Common problems associated with substandard installations include improper drainage, settlement, and edge restraint movement. We have the experience, knowledge, and techniques required to repair your hardscape investment.